In the summer holidays of 2010 my brother Donald joined Phil, Jennifer and I for a paddle round Gigha. At the time I was recovering from my knee operation and had great hopes I might be mountaineering again in 2011. So I said to him "next year we will go to the Cuillins". Sadly my optimism has not been matched by reality. 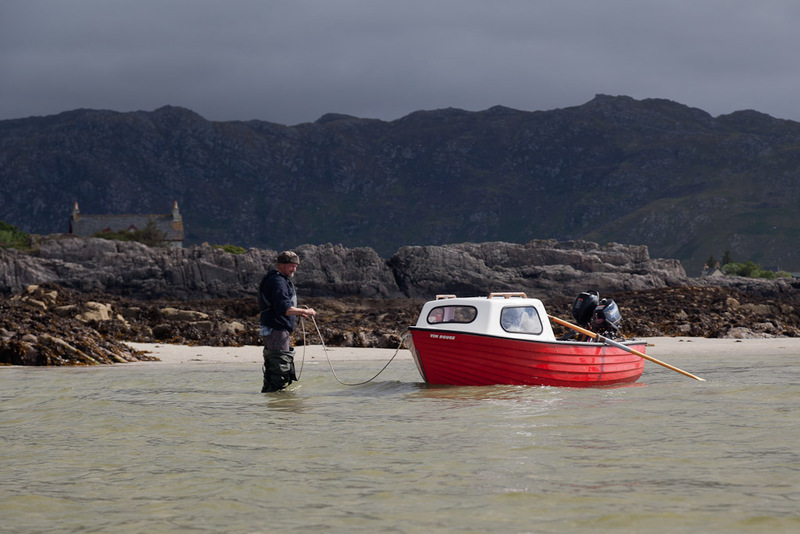 So when he phoned from Arisaig, back in this year's August holidays, I had to decline a mountain trip. 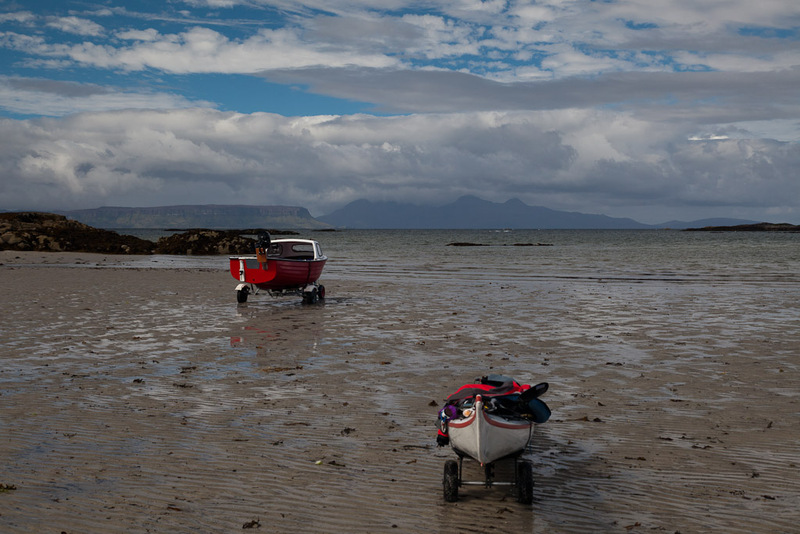 Even the little Sgurr of Eigg at 393m was now beyond me. 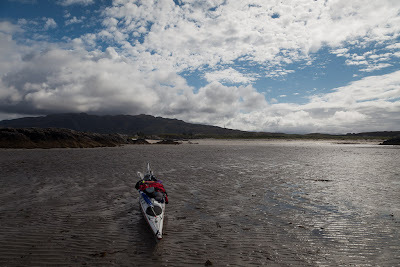 Fortunately sea kayaking is ideal for someone with a lower limb disability, so we decided to go for a boating trip from Portnadoran camp site instead. 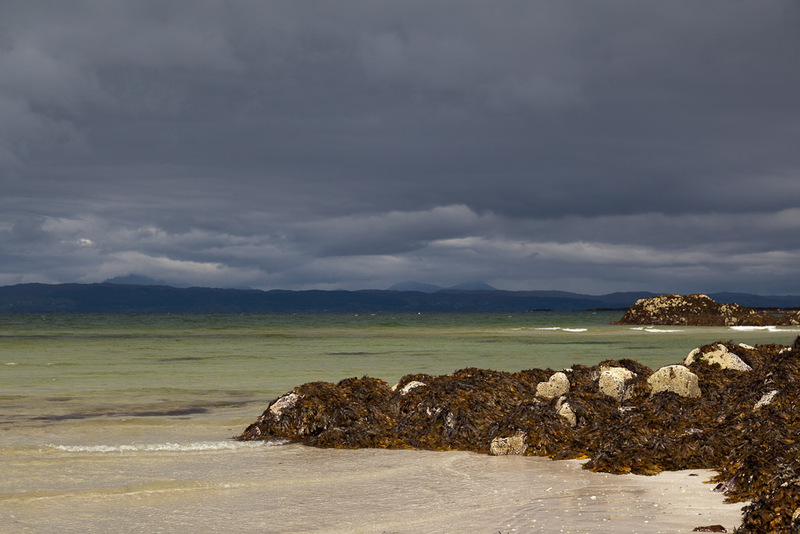 This photo shows the view from Portnadoran beach to the Skye Cuillin mountains rising into the clouds. ...by the time we got both boats to the water's edge. At last we were ready to go. We were setting off for either one or two day's wild camping. The owner of the Portnadoran camp site was very helpful. He told Donald that if we got stuck anywhere, we could give him a ring and he would come and collect us. This was a very kind offer but we reassured him we hoped not to take advantage of his generous spirit. 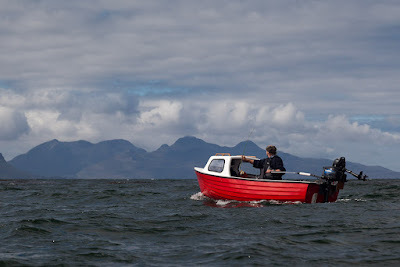 At last we felt the freedom of the open sea, with the magnificent Rum Cuillin mountains on the horizon. 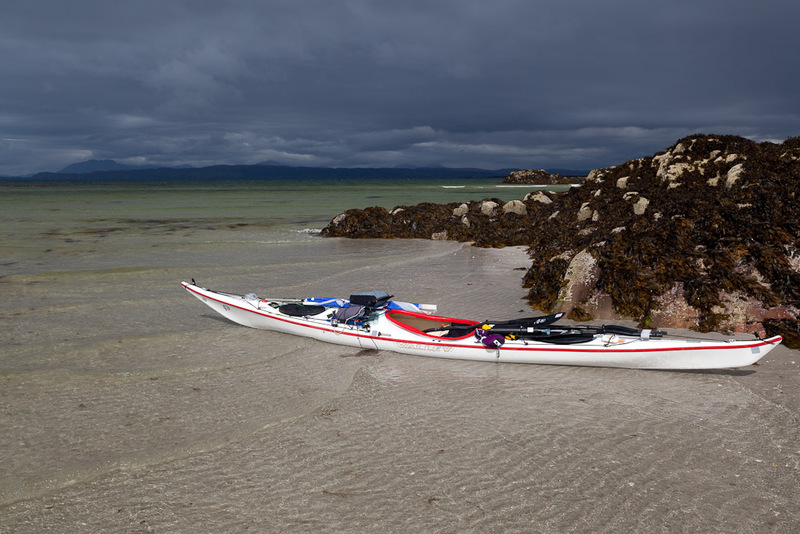 I might not be climbing the Cuillin anymore, so thank goodness for sea kayaking!